Buses are the main form of public transport in Halifax. They’re cheap and reasonably efficient. The FRED bus is the best bargain for summer visitors. It’s free and runs between all the main tourist sites, every 20 minutes, between early July and late October. The daily service runs from 10:30am to 5:30pm. As if all this wasn’t enough, the bus even gives a commentary on Halifax while you ride. FRED starts at Pier 21 (the same location where cruise ships dock) at 10 minutes, 30 minutes and 50 minutes past the hour. It passes the Alexander Keith’s Brewery, the Maritime Museum of the Atlantic, Historic Properties, the Marriott Casino, Scotia Square Mall, Spring Garden Road, Citadel Hill and the VIA rail train station before returning to Pier 21. The service is great for those with tired feet but not always the quickest way of getting around. Halifax’s downtown is compact and it’s often faster to walk between attractions. 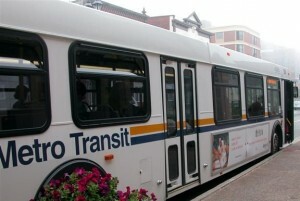 To go out of the downtown core, Metro Transit runs buses across the city. Just $2.00 buys an adult ticket on any route, with 1 free transfer onto another bus or the Halifax-Dartmouth ferry service. Some buses are wheelchair accessible. For all routes and schedule information, see the FRED website and the Metro Transit website. Journeys from Halifax to other towns in Nova Scotia are run by Acadian Lines. The bus terminal is at the VIA Rail train station on Hollis Street.